We created The Crown experience based upon two simple principles: never forget where you came from, and never forget where you came to eat. 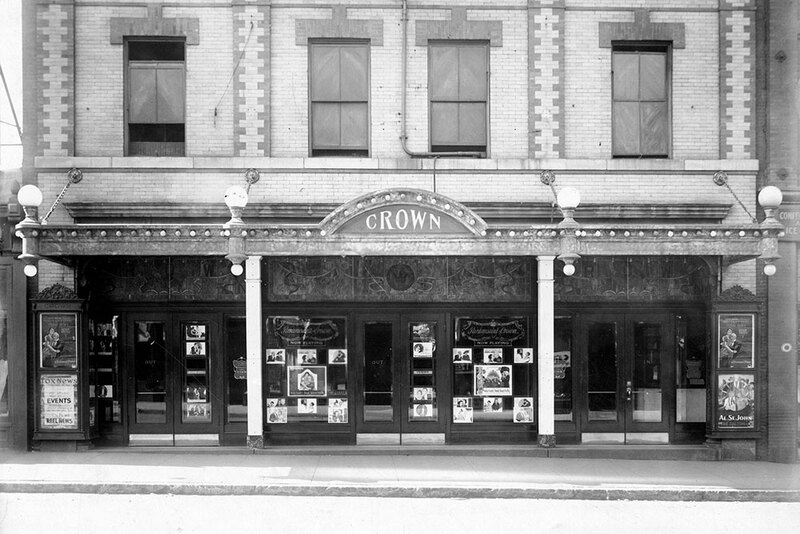 The Crown Theater was one of Manchester’s premier movie theaters at a time when you didn’t have to drive to the sprawling suburbs to catch a film. It was eventually renamed the Variety Theater and ultimately closed its doors in 1961. For the better half of a century, the function of the building did seem more like a variety of commercial businesses than a neighborhood’s beloved crown jewel. Manchester’s history, from its iconic millyard to its North End victorian neighborhoods, has always influenced its future. We yearned to be a part of the Queen City renaissance, so we dusted off the royal tophat of Hanover Street. As the mill buildings bustle with a revivalist pulse, the Crown Tavern is taking the same past-to-present approach just a few short blocks away.